Reader Question: I'm not happy with my relaxed hair. It's gotten thinner and lacks body. It's hard to hold a style. I don't want to go natural, though, but I wouldn't mind wearing my hair curly more often. When I'm ready to straighten it, I'd like it to be an easy process. Would a texturizer be better for me than a relaxer? Is a Texturizer the Right Choice for You? It sounds like a texturizer would be a good option for you, as long as you understand that a texturizer is still a chemical process. The good news is, you can go right from a relaxer to a texturizer. The same chemicals are involved. However, if your hair is thinning, you may need a trim or cut to get it in better shape for your next chemical application. Some light protein will probably help as well. You want to wear curls more often than not: There are many women who prefer a natural look, but for one reason or another, don't want to wear their natural hair. It may be because they're not comfortable with their own curls or kinks, they haven't learned the best styling techniques or found the right products, or they may want to straighten from time to time without it being a big hassle. Texturized hair can mimic the look of natural hair, and some women find more ease and manageability with this processed texture versus a 100% natural texture. 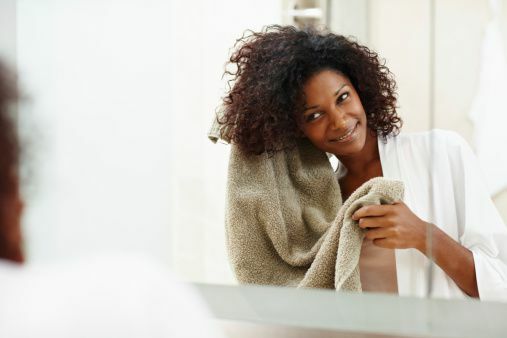 You want to maintain lots of body: Relaxers can sometimes rob your hair of its natural volume, especially if you're in the habit of choosing a "bone straight" texture. When you sport texturized curls, your hair should have body, but if you choose to wear your tresses straight -- either through setting, wrapping or heat styling -- you should maintain that same volume. Your hair already has curls: Texturizer results usually aren't as uniform as relaxer results. One of the reasons is the natural texture you begin with. If you start with an S-shaped curl pattern, you'll get better results as far as the desired texturized look goes. Z-shaped curls typically don't texturize as well, although they take to relaxers well. Even trained professionals don't always get it right when it comes to texturizing, and that's because the time factor can be tricky. A minute's difference may be all you need for hair that's a little too straight. Remember, a texturizer isn't a good transition style if your ultimate aim is being natural. However, it's a good option for women who don't want completely relaxed hair, but also don't want to be natural. You may want to consider texlaxing as well, which is very similar to texturizing, but is a better choice for women who like to wear straight hair more often, without missing out on fullness.